Contact Anita for additional information. If you have something unique in mind or want to personalize a piece by making it your own design, Anita can help you make it. From sketching, wax molds and the finished piece, she will take you through the design process and bring your idea to life. You will find at Anita’s Jewelers you will be treated with that good old fashioned service. Anita and her local Gold Smith have been working together for over 20 years. It is our pleasure to clean and check your Jewelry for FREE! If repairs need to be made, we have the expertise and experience to take care of you. We won’t be happy if you’re not happy. Or perhaps it’s time to adjust that watch band, replace a crystal, or recondition your watch. We have the updated technology to take care of you. Need a new watch battery? Anita’s Jewelers clients receive one new battery a year for their watches for Free. Please call for your personal appointment and we will take care of you. Customers are Treasures at Anita’s Jewelers! Anita Burgess is a certified Gold Broker. Working with Leads on Line and making sure that gold is purchased and sold from legitimate sources. At Anita’s we can take your old scrap gold and create something new! Or we can send it directly to the smelter. You can either trade in your scrap gold for something new out of our inventory or receive a check. With continuing changes and increases in the gold, gems and diamond market it’s very important to keep your jewelry insurance policy’s updated. 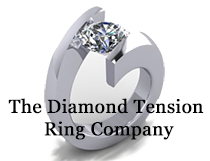 Anita Burgess is a certified Diamontolgist, and with experience of over 40 years in the jewelry industry. Keeping up with today’s pricing and changing markets.